Lighting is a very important part of building a deck. 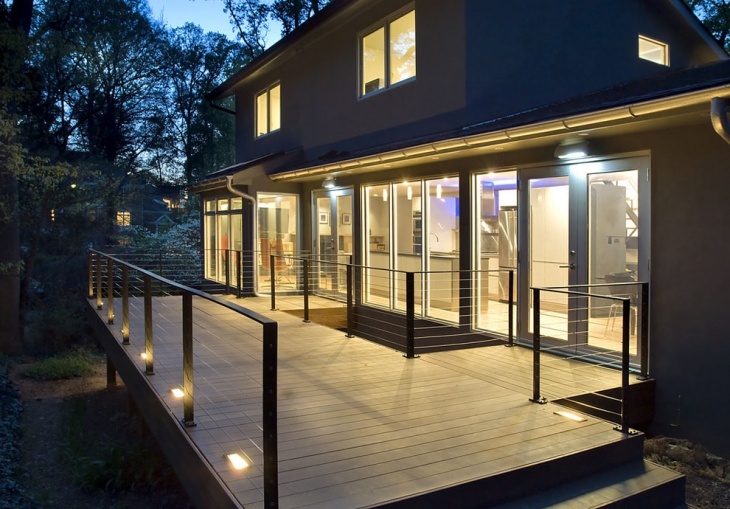 That is why it is vital to know what different deck lighting ideas are available. The most basic options include installing lights on the ceiling and wood flooring. 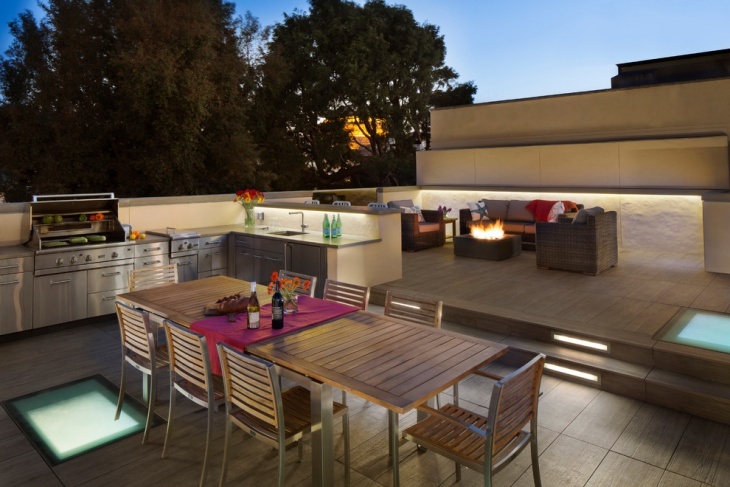 When there is effective outdoor lighting, the time spent on the deck or by the pool is surely going to be fun, exciting and memorable. Some people also use stair lights to provide lighting for the steps. This covered deck has a lighting set on the deck. Each light is 1 watt LED deck light in copper. 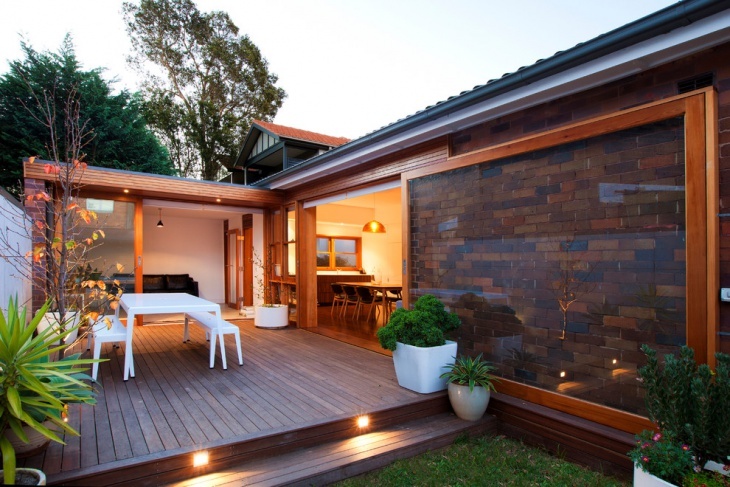 The open space design of the deck allows for easy access from the indoor and access to the grounds. The lighting design adds elegance. This uncovered deck is lighted by the Eco Smart Firepit.set in the middle. 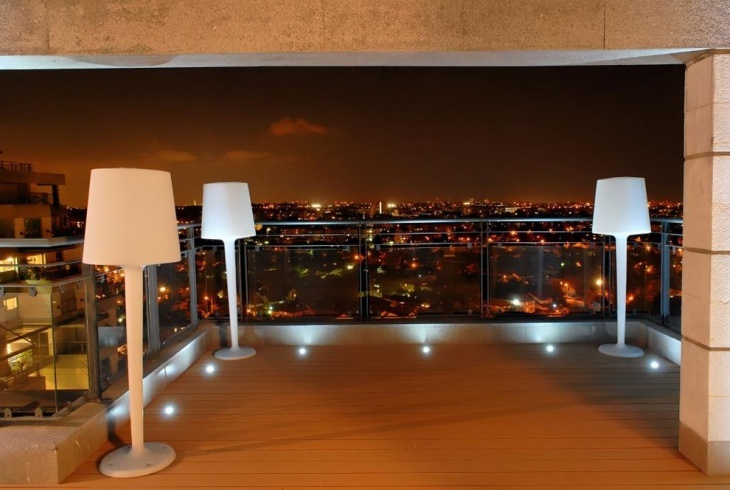 There are stair lights as well and these are LED round exterior lights. To add lighting, glow, and romantic ambiance, rope lighting has been used under the bench. 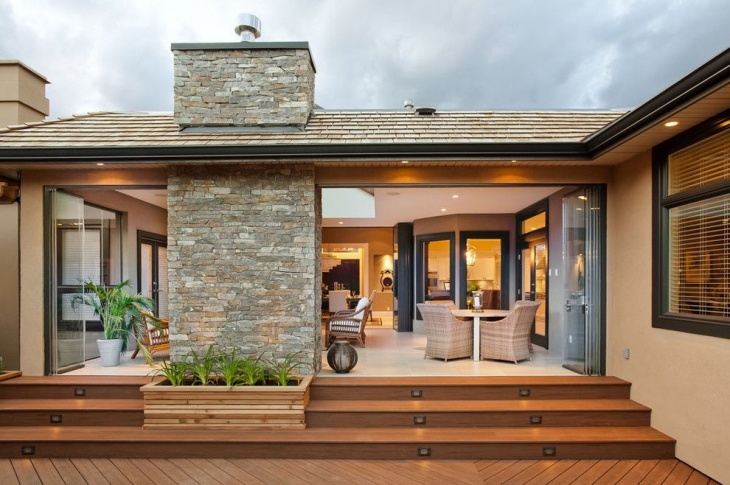 This modern deck is lighted well enough on the step of the stair and on the roof. The lights on the steps are reflected beautifully through the wide glass sliding door that leads to the house. 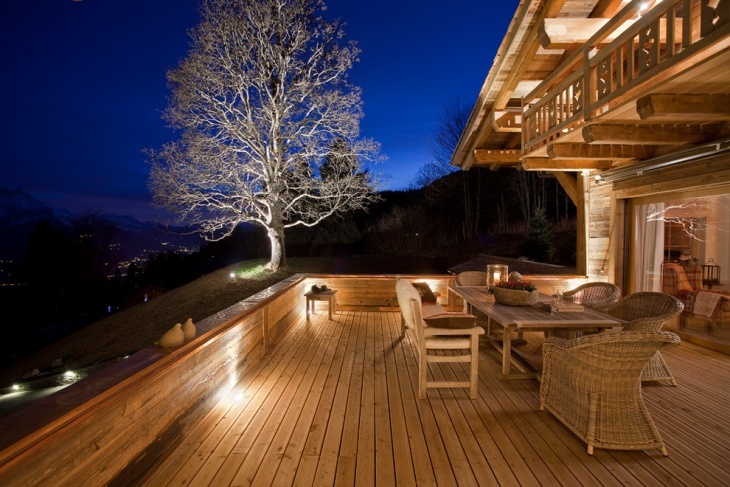 This all-wood deck glows with light from the steps and the trees. The good illumination allows for easy navigation at nights and they highlight the benches and the steps. The lighting strings set on the trees add lighting and romantic feel. Deck wall lighting is used up to its full advantage on this deck. The illumination is just enough for easy navigation. It is also romantic and perfect for cool nights. The tree that is lit up at night is gorgeous and adds a charming appeal. 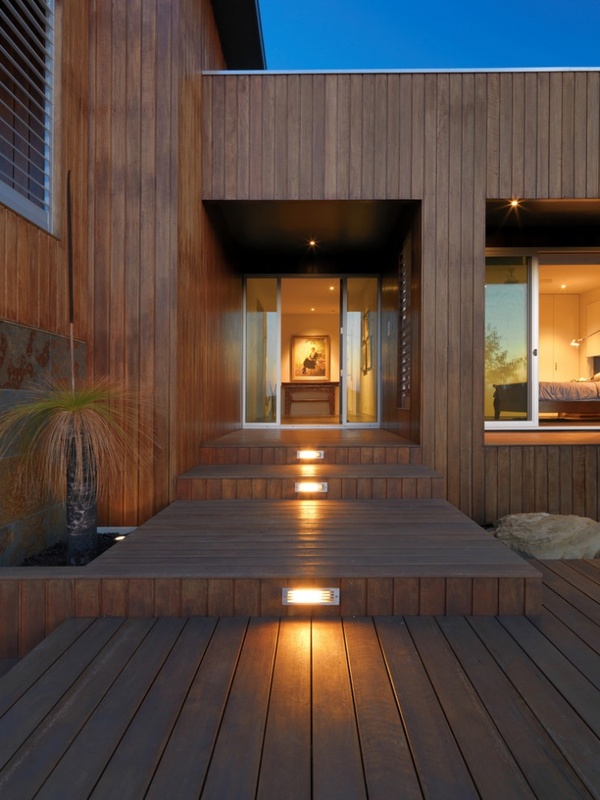 The rectangular lighting used for the steps of the stairs provides good illumination. To add more glow to the deck design, LED lights are installed on the flooring. 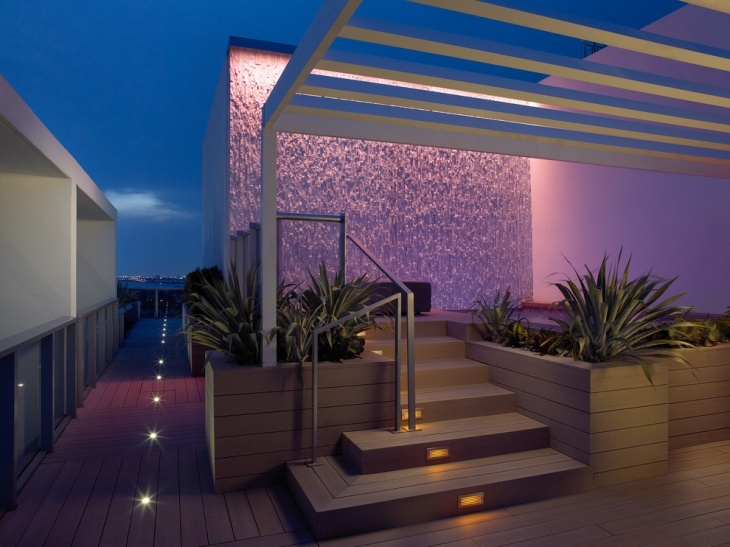 The combination of this two sets of deck lighting results in a well-illuminated deck and BBQ area. 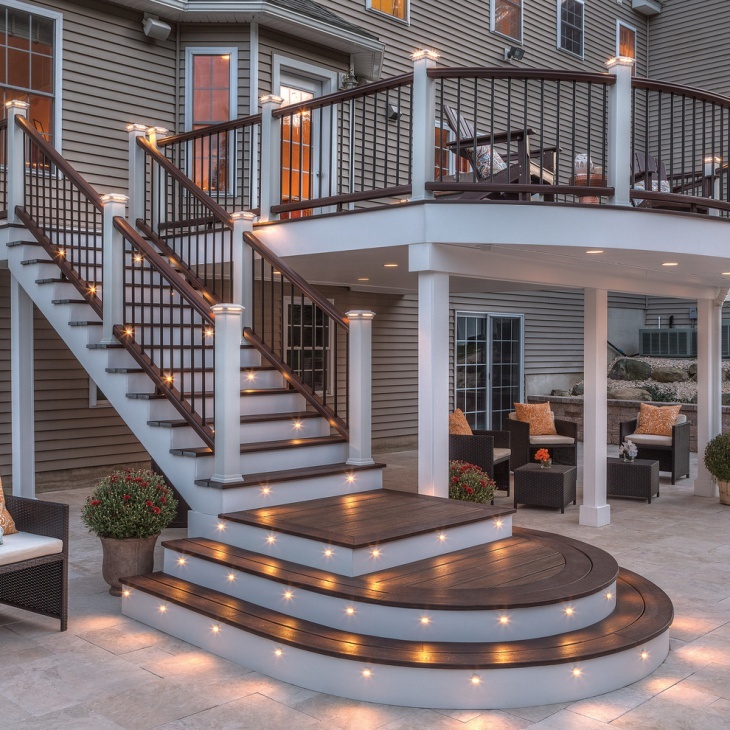 Rectangular step lights are used to provide illumination in this deck stairs. The lights provide lighting for easy navigation while ascending and descending the stairs. To add more lighting glow, lights are installed on the porch ceiling. This spa deck could be a dream come true for most people. The step lighting illuminates the way going to the tub. The lighting used is rope lighting LED that is quite easy to incorporate. 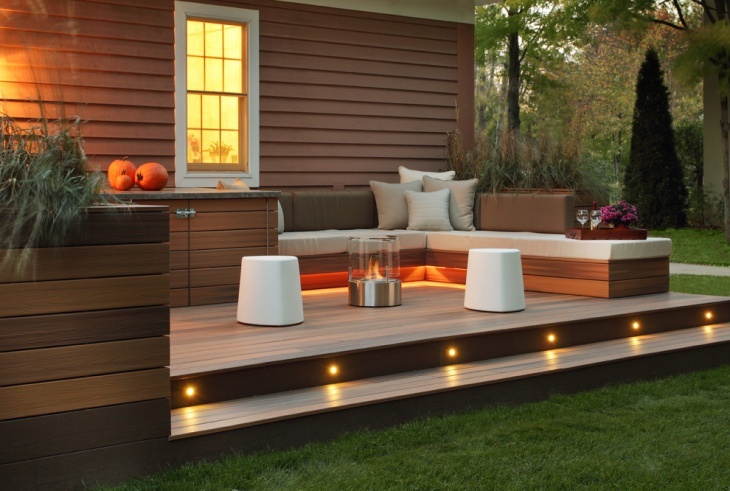 The rest of the deck is lighted under the bench, which gives out the perfect glow. The vintage look of this deck is achieved by the use of dark wood and black furnishings with white pillows. 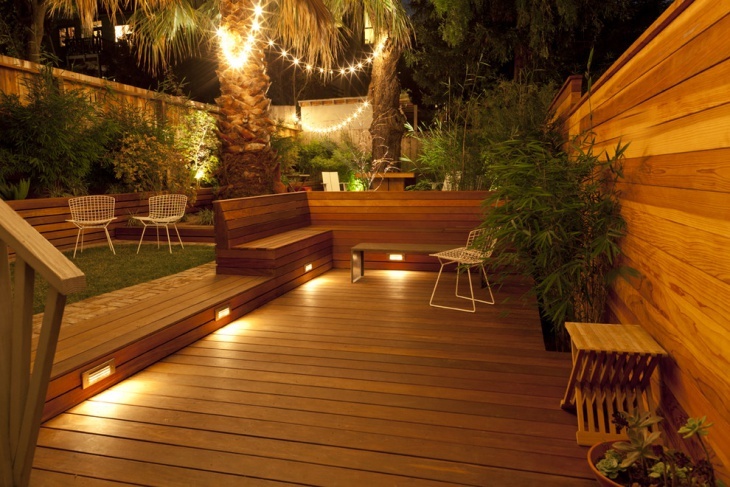 The lights on the vertical posts provide enough illumination for the whole deck, while the step lights add more glow to the whole scene. More lights are installed on the small bridge leading to the house. 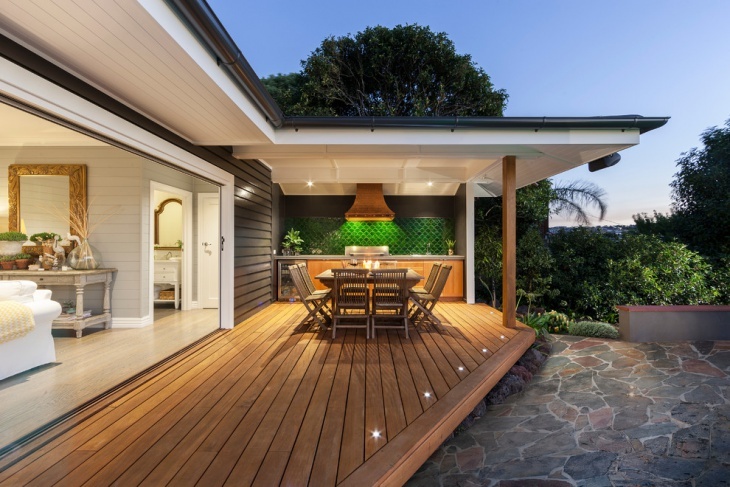 Decks and outdoor spaces need to be well illuminated so that they can be just as functional and as beautiful at nights as they are during the daytime. 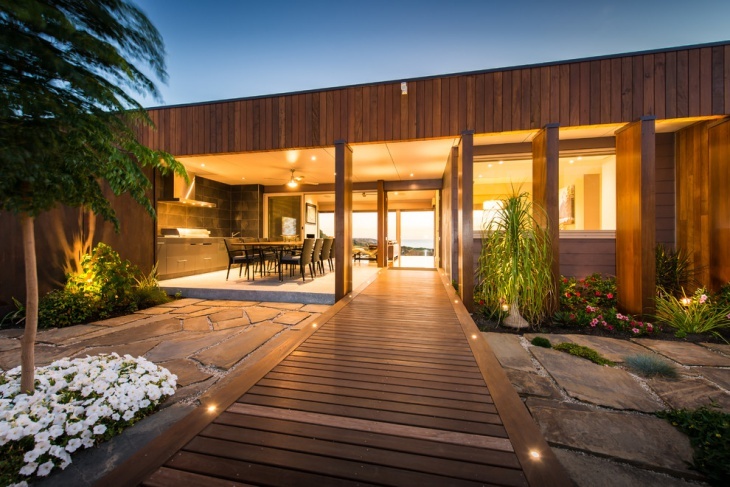 Pendant lighting is the most common option for lighting up covered decks. But what about open or uncovered decks? 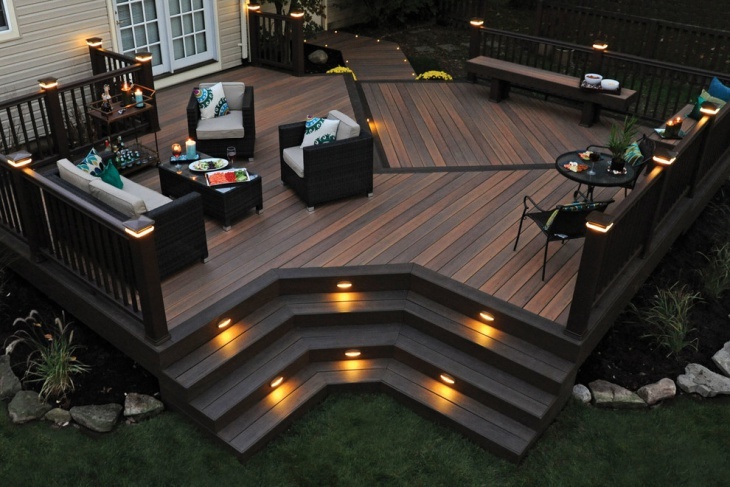 For such deck designs, flooring and step lights take the center stage.